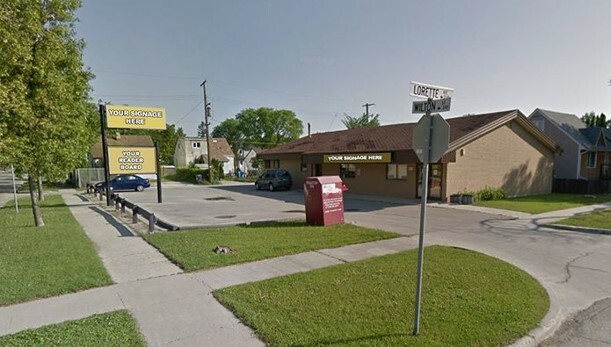 Dino Alevizos at Shindico Realty is marketing for lease a freestanding building at 333 Wilton St. at Lorette Ave., in Winnipeg’s River Heights community. The building is 3330 square feet with about 75 feet of frontage onto Wilton St. and its more than 69,000 vehicles per day traffic. The building can be demised to 1650 square foot units. Parking is on-site. The building will be getting a new façade with prominent building signage. Freestanding pylon signage is on-site. Surrounded by several amenities including Grant Park Shopping Centre, Grant Park Festival and Walmart Supercentre, there is over 88,300 people living within a three kilometre radius. The daytime population in the area is more than 84,800 people and the average household income is in excess of $97,800 per year. The median age is about 38-years. The suggested uses include service/retail, daycare, medical and professional offices.